With state legislative sessions now in full swing, extremists are back pushing anti-choice bills aimed at limiting women’s access to preventive medicine. But for every absurd remark about women’s libido’s – there are more REAL Republican voices speaking out for individual rights. Representative Eberhart says he is personally pro-life, but he recognizes that personal medical decisions should be left to individuals and their families. He was the ONLY member of either party to vote against this medically unnecessary, big-government bill in a state House committee hearing. 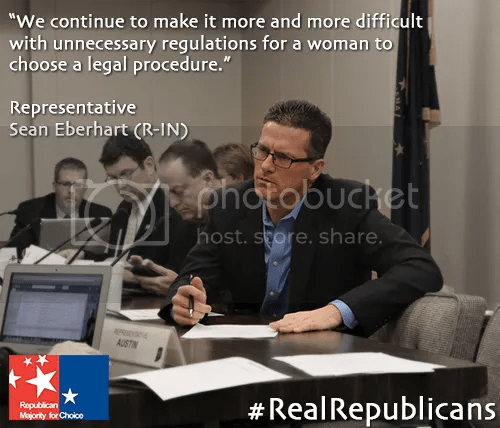 We need your help today to support commonsense Republicans like Representative Eberhart who aren’t affraid to stand up to opposition from both sides. If you are tired of right-wing extremists claiming to represent OUR Republican party – speak up now, and help us prove that REAL Republicans value individual liberty and limited government. We must work together to fight extremism in our party – show your support today! Yes! Pro-Choice Republicans are Real! North Dakota State Representative and commonsense Republican, Kathy Hawken bravely stood up against the state’s drastic anti-choice abortion ban. 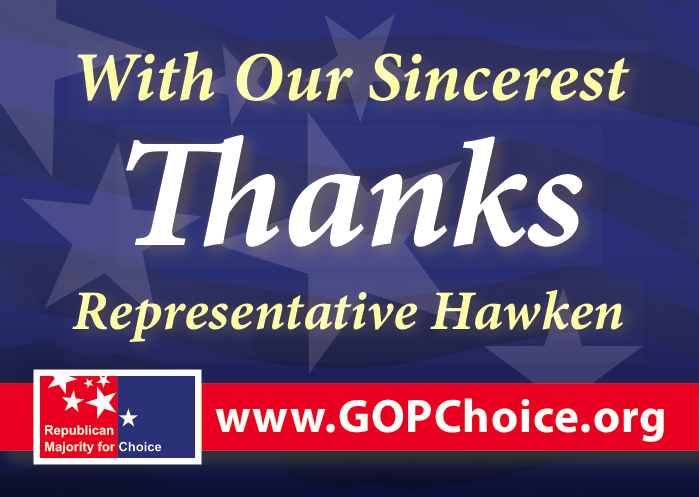 In our recent membership mailer we included a thank you postcard for Rep. Hawken asking you to send it along to show your gratitude — and your voices were heard! In a recent interview Rep. Hawken noted that she received hundreds of postcards from across the nation thanking her for standing up for pro-choice Republicans everywhere. “The support has been truly heartwarming. Both men and women saying thank you for speaking out,” said Hawken. 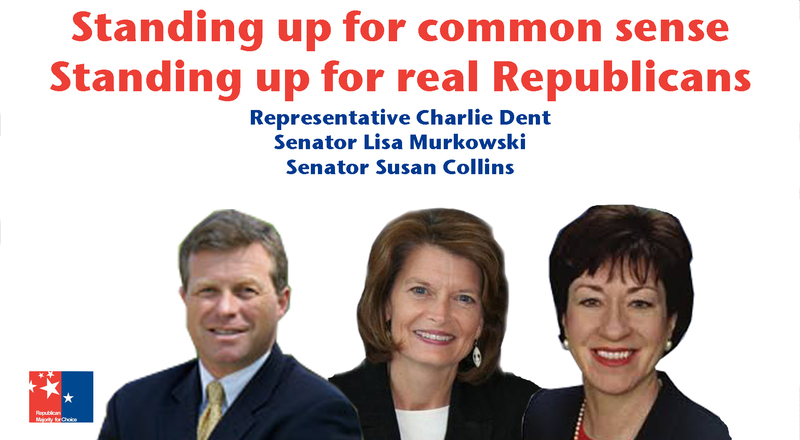 Your voices are encouraging mainstream Republican leaders to fight for commonsense reproductive health policy. And you can’t stop now! Make a donation today to help RMC engage more pro-choice GOP leaders on the state level. We, too, have heard this message from many RMC members. But as mainstream Republicans, we cannot stay silent and let the extremists keep their grip on the future of the Republican Party. Join or renew your membership to RMC today, and make sure the GOP hears from real Republicans now. Read the rest of the interview with Rep. Hawken here.